Kokernag or Kukernag is in Bringhi valley in Anantnag district and is about 70 KMs from Srinagar. Situated at an height of above 2000 mts. above sea level, Kokernag is a lesser known tourist attraction near Srinagar.The word Kokernag is made of 'Koker' which means a fowl and 'nag' which means a cobra and the name is because of an ancient lore. 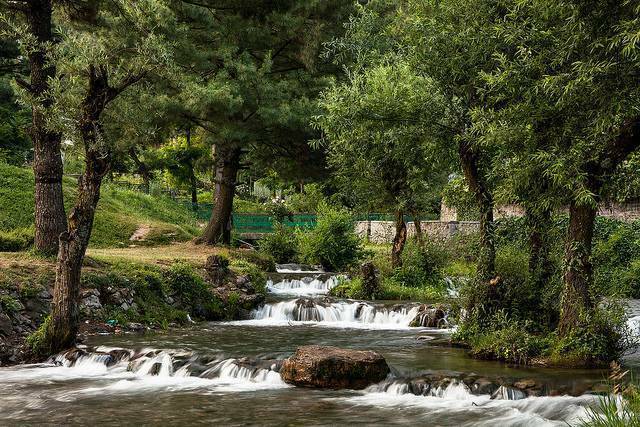 Kashmir's largest freshwater spring Papashudan Nad is in Kokernag and it is believed to be a miracle cure for many maladies. It is also an established trout hatchery and tourists enjoy the freshly caught fish prepared in a variety of ways.